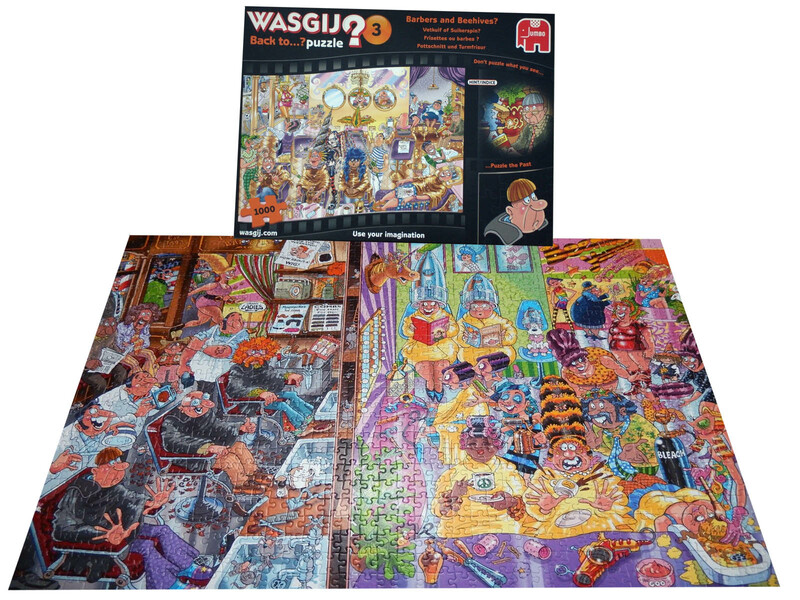 The Wasgij Back to…? 3 is sure to get you reminiscing about your childhood trip to get your haircut, with customers now being pampered with food and drinks, and the latest hair cutting technology being used to keep up with the current trends, how different would this scene be back in the swinging sixties? Try to imagine this hair salon 50 years ago, how would the shop have looked and what were the fashionable hairstyles back then? This is the scene you will have to puzzle.